We’re making mortgages transparent, affordable, and fair. A Better Mortgage starts with honesty. 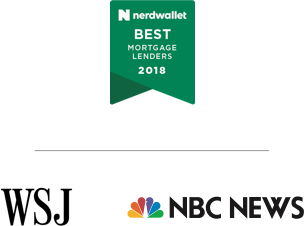 That’s why we provide honest rate quotes, instant loan estimates, and access to unbiased support from experts who work for you, not commission. We even offer instant loan estimate comparison, so you can find the best offer in seconds. Best service. Holly and her entire team were quick to respond to all my questions. They were totally committed and I felt I received the best service! Very transparent process and Better streamlined everything to meet my timeline to close on my home as a first-time buyer. I highly recommend for anyone looking for competitive rates with an awesome customer support staff! Fantastic mortgage experience. Extremely convenient web portal and equally helpful associate support. Not to mention the most competitive rate we received across numerous lenders. Highly recommend!